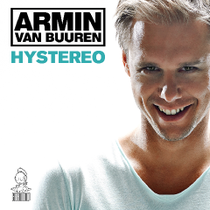 After good pre-orders, Armin van Buuren’s new single ‘Hystereo’ entered the Dutch iTunes single charts at the #1 position. First available as an exclusive pre-order on iTunes as part of his upcoming mix album, ‘A State of Trance at Ushuaïa Ibiza 2014’, the song is released on all download and streaming services today. ‘Hystereo’ was one of the most requested ‘ID’ tracks (songs that are heard live but haven’t been officially identified or released) from Armin's residency at the Ushuaïa Beach Hotel in Ibiza every Thursday this summer. Frequently played, the song went down well each time. The full Ibiza compilation will be released 9 September and will include originals from Armin van Buuren, Cosmic Gate, Aly & Fila, Andrew Rayel, Markus Schulz, and many more.